England U19's Colombo-born opener is hoping to face the country of his birth. During the build-up to the ICC U19 Cricket World Cup, England’s starlets were scheduled to play a warm-up match against Sri Lanka at Lincoln Green in Canterbury, New Zealand. It was slated to be a useful pre-tournament run-out for both teams. But for Savin Perera, England’s brilliant young opening batsman, the match would hold extra special significance. In the run-up to the tournament proper, England played in a Tri-Nation competition against South Africa and Namibia. Perera’s scores were 74, 84 and 20. England lost in the final to hosts South Africa but the young left-hander – who counts Sri Lanka’s Sanath Jayasuriya and Kumar Sangakkara among his favourite players – was the second highest scorer in the tournament. While his immediate goal is to help his team win a world title, he also aspires to play first-class cricket for his county and country soon. 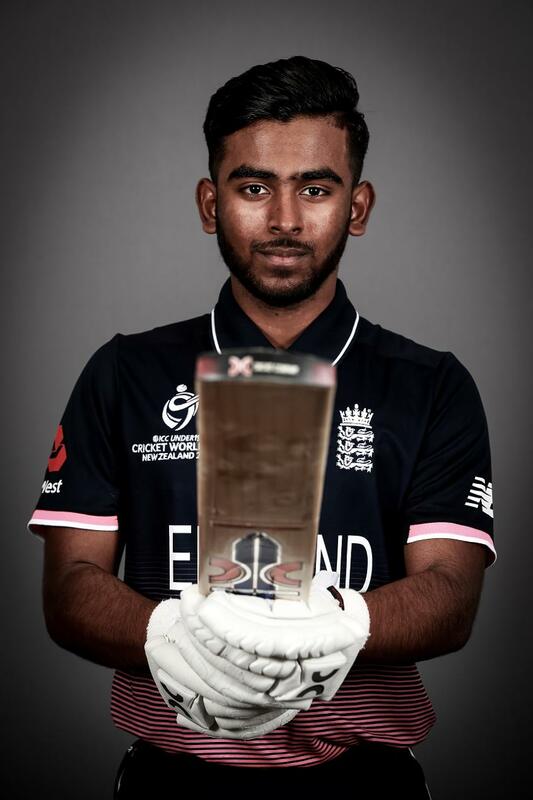 “Representing the U19s could be the first step towards hopefully an England cap one day,” says the Middlesex Second XI regular. While Perera is yet to play against Sri Lanka as the warm-up game got washed out without a single ball being bowled, England have played one game in the U19 World Cup, an eight-wicket win against Namibia in which he made a breezy 26. On 17 January, England face Bangladesh in their second group game in Queenstown.